As shoppers flock to their computers instead of driving to the mall, entrepreneurs with e-businesses can make a hefty sum. Want your website to reach more people? Make it ready to move. Make returning gifts painless for your online customers with these tips. 3 simple ways to make your online enterprise a standout. As shoppers get bolder, it's the perfect time to sell the finer things online. Show shoppers what they're missing in your search results. How entrepreneurs are coping with the new postal rates. Need a tool that will help you get a jump on market research and customer feedback? Look no further than online polls. Free up your crucial resources by outsourcing fulfillment. Before worrying about design details, start by creating a site outline. Spice up your customers' shopping experience with web tools that let you do just about anything, from one-click calling to webcasting. Launching a deal-a-day site could be a boon to your business. Visual search engines make it simple for shoppers to find your products. Web design experts reveal their top 10 trademarks of stellar sites. Does your site need a little sprucing up? See what AJAX can do. Wouldn't you love to own your own trendy boutique a hot spot that showcases your unique style? Do you daydream about selling your signature products to high-end shoppers? Your dream is just a few clicks and one week away! Whether your taste is classy and elegant or hip and unique, there's a spot for you in today's largest retail center the internet. In just days, build your posh, online boutique selling luxury, designer goods or your own upscale, signature products. Learn how to handle and showcase inventory, reach affluent shoppers, fulfill orders, accept payments and so much more using turnkey solutions that require no technical skills! Create eye-catching content that captures elite shoppers and keeps them coming back. Use foolproof online tools that work 24/7 to handle payments and accept orders. Drive traffic using search engine optimization, new media marketing and other marketing and advertising techniques. Skillfully handle inventory, order fulfillment, customer service and all other operations. 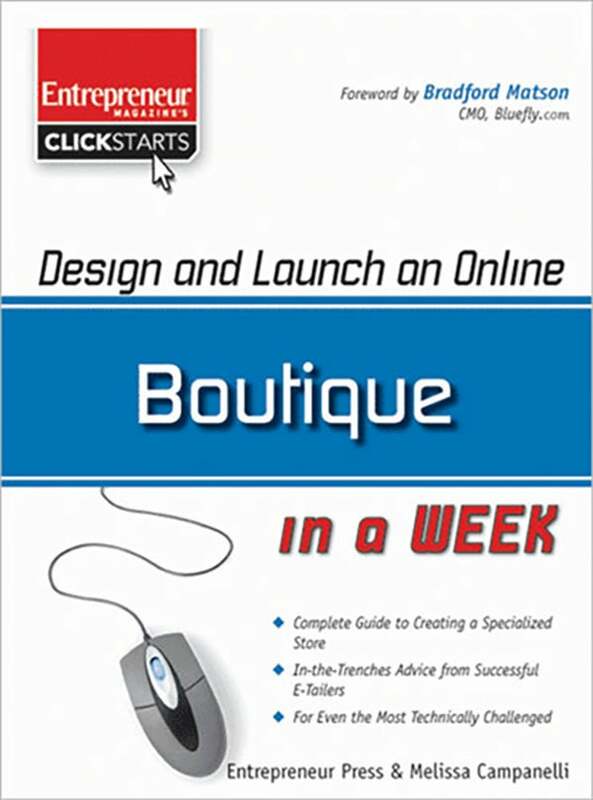 Stylish, unique, one-of-kind--turn your personal taste into a successful, online store--in just a few clicks and a few days!